Call today to book your fast construction dumpster. Roll off dumpsters are priced by the size and per dump, for instance a 30 yard roll off dumpster for 1 dump. Junk Removal can be a difficult job. Do you need help with junk removal or junk hauling? Happy Trash can help you. 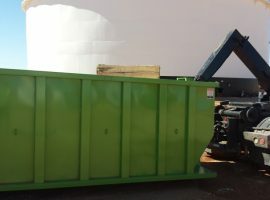 Roll-off containers make construction cleanup and hauling a breeze. We provide containers for construction and trash hauling needs. 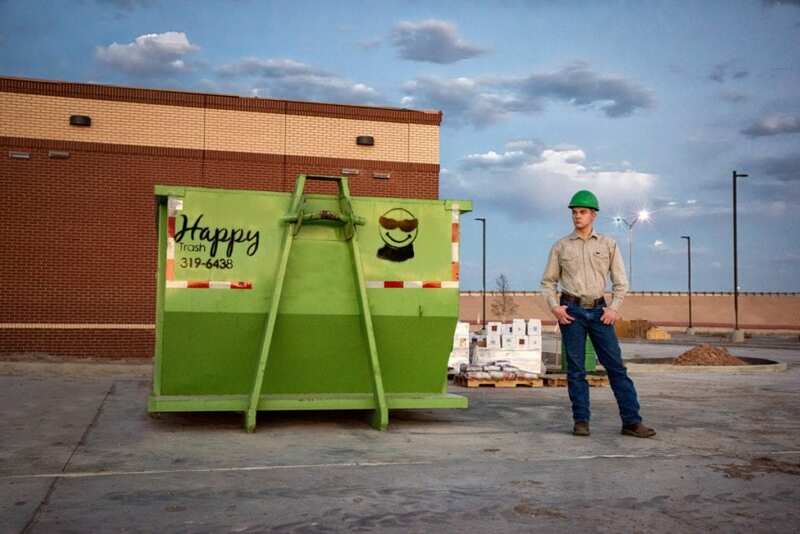 Happy Trash was created by Lubbock residents with experience in the construction and trash hauling business. We understand roll-offs because we use them ourselves. 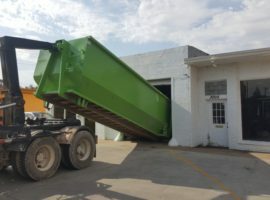 After years of renting roll-off dumpsters, going to the dump in pickup trucks, using flatbed trailers and even dump trailers we entered the roll off business with the idea to revolutionize the trash industry. Before starting Happy Trash we rented roll off dumpsters from other companies. We were frustrated by the industry. The price was high and the service was low. We know how difficult it is to get honest and straight forward pricing. 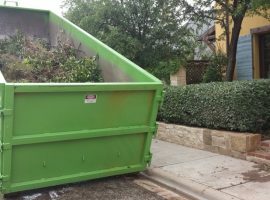 We know how frustrating it is to have a crew on site with a full dumpster. We know the pains of using many other roll off companies in Lubbock. Tired of slow roll-off construction dumpster service? Tired of spending more than you expected for your Lubbock roll off dumpster? Tired of waiting for days to get a roll off dumpster emptied? 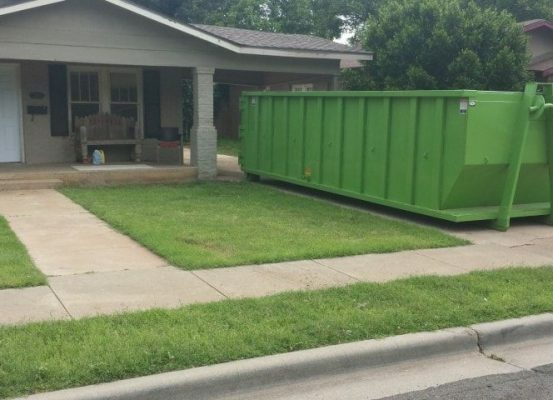 We provide fast Roll-Off containers and waste management services for residential and commercial trash hauling and clean up in in the Lubbock Texas area. Our “Hook Lift” type roll-off containers provide you with fast, safe, and low impact dumpsters. 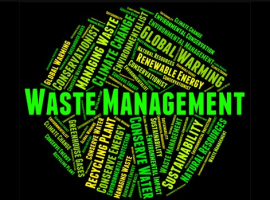 Let us serve you by choosing the right company for your waste management. Happy trash takes pride in serving our customers with experienced, Happy, and trained staff. Tired of roll-off containers tearing up your new concrete or asphalt? Hook lift dumpsters are low impact. They are much safer on hard surfaces than cable lift dumpsters. Our roll-off dumpsters are delivered fast. We can place containers in tight locations. We offer after hours pickup, volume discounts, advertising with our company, and services never before heard or seen in the Roll Off Trash Industry. In fact, we are committed to revolutionizing the trash industry. We provide Happy Service at competitive prices. We do not have hidden fees on our invoices. Pay what you expected from the beginning. We are clear with all our pricing. Happy Trash provides dependable service which is known for its timely delivery and pickups. Contact us for any questions or services. Need help loading your container? We can help you with that as well. Ability to give you targeted advertising. Get more customers from every job sight you work on. Custom built roll-off containers for any of your construction needs. (Break Rooms, Kitchens, Offices) Whatever your need we can build it for you. See our roll off pricing here. We are simplifying the container business. Know what you will pay upfront! We can even set you up to only have a bill once every 24 dumps. Or even better, we have an advertising plan that will give you your first 24 dumps for free. This plan is even renewable after your first 24 dumps. 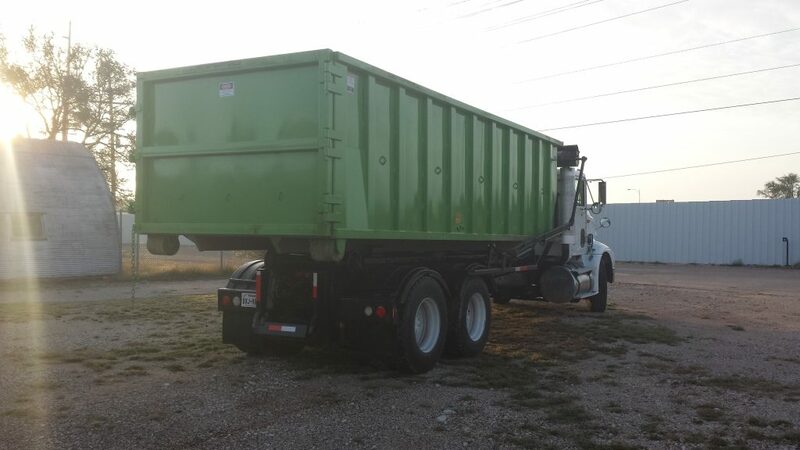 At Lubbock Roll Off we know Trash is part of your business and we believe that your Roll-Off trash should be fast. We believe in the best customer service and the fastest response. Thank you for using Happy Trash roll off containers.